Protect your website content and Google SEO rankings with our unique automated software and services. Don’t let your competitors leave you behind! Optimize every page of your website like a PRO. Install and activate our Real-Time SEO plugin. No need to be SEO expert. Get your website on the TOP of Google. Complete On-page and Off-page SEO services, including keyword research, website development and optimization. Fast results guaranteed! SEO Content Protection is a web-based hosting service for content version control and on-site SEO optimization protection. Millions of websites suffer from hacking attacks every day. We have developed a software that allows you to protect your website from hackers 24/7. Optimize every page of your website like a PRO. Just enter the keyword and our smart SEO plugin will do the rest. No need to be SEO expert. Get your website on the TOP of Google now! Setup our WP SEO Plugin and run the Configuration Wizard, which will help you configure WordPress’ initial parameters without any prior knowledge of the SEO field. Run the SEO Audit Tool, which will go through every page of your website and point out any possible SEO mistakes and give you recommendations on how to fix them. Our SEO Checklist will help move your site to the top of Google without any risks. Just follow the step-by-step recommendations on our checklist. When a hacker gets access to your website or hosting, they can not only install viruses but also doorways and spam links. When Google identifies a hacking, your site gets placed onto the blacklist and you lose 99% of your traffic. 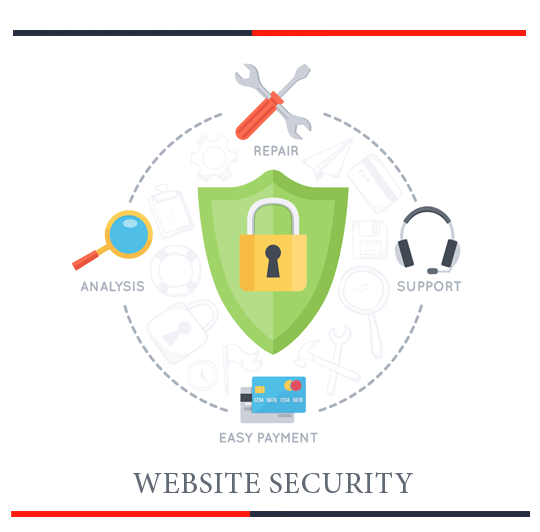 We offer a solution that not only protects your website from hackers, but will also continuously monitor your site on blacklists, Google Search Console, and its position on the Google search results. Every day, our software initializes a CMS Core Files Scan. We install our own Firewall that blocks bad bots, backdoors, SQL injections, and XSS attacks. Your website will not only be more protected but will also become faster, which is sure to have a positive impact on your Google position.